At this time of year many of my local walks involve skirting round or wading through crop fields. 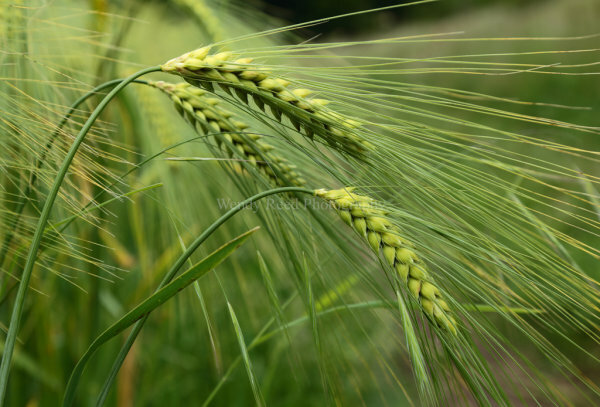 I think barley is particularly photogenic because of the stiff bristles (apparently called awns) on the seed heads. This barley field was near Pishill, on the Oxfordshire Way. The path skirts the field so it was easy to find a suitable spot to take a photograph.